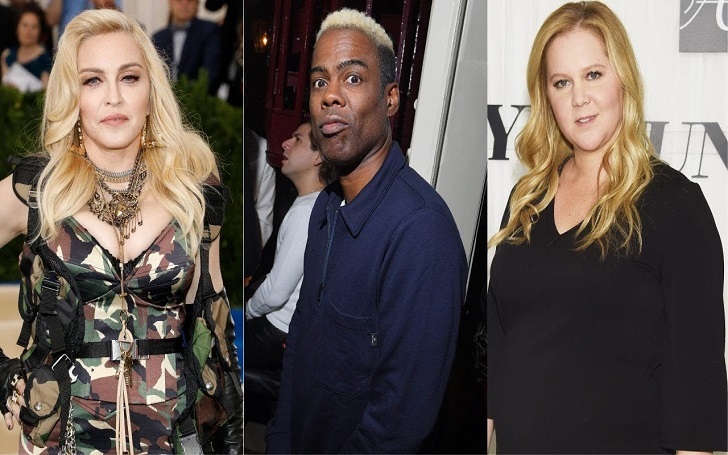 Multiple Hollywood stars, including Amy Schumer, Madonna and Chris Rock, have put their money to raise funds for the Christchurch mosque shootings' victims. Guy Oseary, the Hollywood talent manager and producer, created a GoFundMe campaign on March 15, in order to help the survivors and the families who were impacted by the terror attacks. The GoFundMe page was created hours after the shootings at two mosques in Christchurch, New Zealand. The tragic incident left 50 people dead and 50 others injured. The talent manager's campaign quickly took off as multiple celebrities and his famous clients donated to the cause, setting out to raise $100,000. LiveNation CEO Michael Rapino, fashion designer Rachel Zoe, director Judd Apatow, jewelry designer Lorraine Schwartz, and actors Ben Stiller and Ashton Kutcher, are among the hundreds of funders who gave donations and made the campaign a success. As we previously reported, Brenton Harrison Tarrant, the suspect who opened fire in two Christchurch mosques killing dozens of Muslim worshippers at Friday prayer, was arrested and charged with one count of murder.